Just last week, Anthony Davis was in the media denying that he told the New Orleans Pelicans any destinations for a trade or had any conversations with the team about where he wanted to go. Much like a lot in today’s age, everything comes to light and now AD’s list has surfaced. According to The Athletic, Davis has four teams he has his eye on, with one being a surprise and another being out of the running. 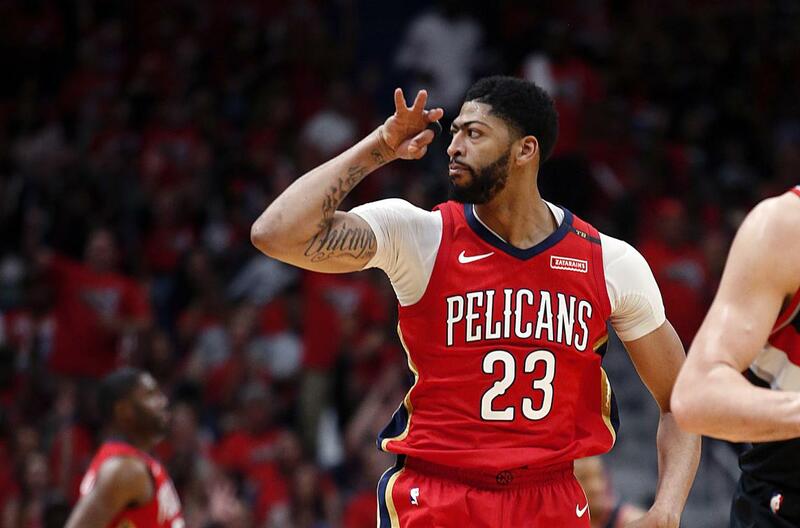 The Los Angeles Lakers, New York Knicks, Los Angeles Clippers and Milwaukee Bucks are some of the teams that AD would sign long-term with, each being in different positions to make a deal for him. New Orleans rejected the Knicks on a Porzingis offer recently, and likely don't have the assets to gain the Pelicans' interest unless they defy the odds on a 12 percent chance in the draft lottery to get the No. 1 overall pick in the June draft. Obviously with the Knicks trading away Kristaps Porzingis last week, they are out of the running for his services. The Bucks are also out of the sweepstakes, considering it would be too difficult by their roster makeup. The thought of Davis with Giannis Antetokounmpo is ridiculous though. This leaves both L.A. teams as places he’d like to play, with both fighting for a playoff spot and in similar positions to make moves in the Western Conference for years to come. Both have young talent that’s still developing and a front office that can make things happen, except one has LeBron James playing for them. Of course, this doesn’t guarantee AD joins any of these teams, but it’s interesting to see where his head is at and who he wants to play with. Oh, and look who’s off the list: the Boston Celtics (like his pops said).